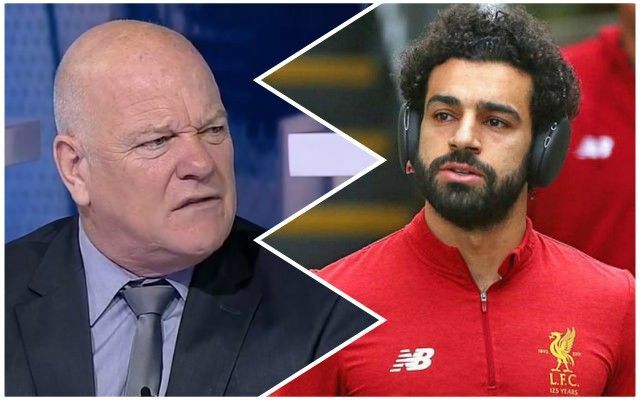 Andy Gray claims Mo Salah could cost Liverpool the chance to win the Premier League or the Champions League this season because he is gaining a reputation for diving. Salah has been fouled numerous times this season without opponents getting punishment, but did go down theatrically when fouled by Pascal Gross against Brighton. Gray said, via the Daily Express: “If he continues to go to ground as easily as he does in the penalty area, referees will stop giving him penalties when he might have deserved a penalty. Referees are only human and so can be influenced by perception, but if Salah was to be denied by an official on that basis, it would be hugely unfair. There are multiple examples of when Salah has been hacked at – like when he scored against Bournemouth despite Steve Cook raking his studs down his Achilles – with little protection. While his winning of the spot kick against Brighton was theatrical, it was also a foul. What Gray is suggesting is a similar scenario to what the Reds found with Luis Suarez, whose reputation denied him stonewall penalties regularly during his time at Anfield. Hopefully, Salah can stay out of the limelight for a couple of weeks and the story will move on with little fuss.